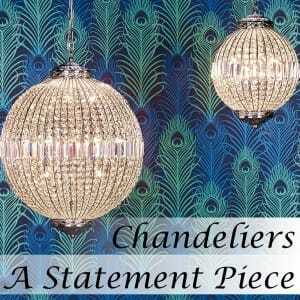 Chandeliers come in all shapes and sizes but have one very similar thing in common. Status. Chandeliers have always been a statement piece, often a way to show wealth and or importance giving preference to decoration over plain functionality. Chandeliers are used to create an impact rather than just “light a space”. However worry not, they are very good at that too! There are as mentioned before many different shapes and sizes which creates numerous styles both for modern and traditional settings. 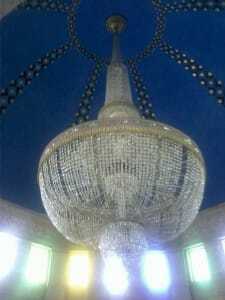 Of course the most popular and generally the most impressive are sparkling crystal chandeliers. Nowadays however you don’t have to be rich or famous to at the very least get the look. Being able to create a look of importance is quite appealing and evidence of chandeliers providing this is quite clear in many settings. Take a look at the images below which you may recognize. 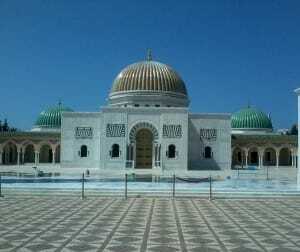 These are from Tunisia of the Bourguiba Mausoleum and tomb of Habib Bourguiba, the first president of Tunisia. Evidently this was someone who was of high importance and as with many others it is often shown throughout their lives and in their final resting place. One of the main focal points is always the light fitting, and let’s face it – it’s always stunning, and almost always a chandelier. This is of course as mentioned before the same throughout their lives in their homes, and it is something that we can replicate. 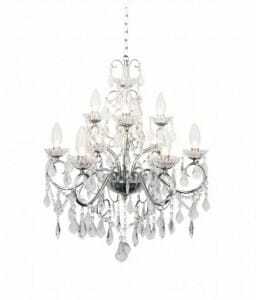 Chandeliers are used to light grand rooms such as entrances, stairwells and dining rooms or halls. Although more and more we’re seeing smaller versions used in other rooms, from bedrooms to even bathrooms! Yes there are even bathroom chandeliers available which are IP rated to give that option of adding sparkle and class to quite literally every room. So what can you do for your home to create a sense of high status? If you have a long drop stairwell or entrance then this is an ideal place to display a chandelier, there are many different styles and sizes so finding one to match your interior decor shouldn’t be difficult. Give your home a grand first impression, you could opt for something as stunning as a Fiesta pendant or go for something that will provide the same effect such as the Kyla crystal glass pendant shade. This general idea of choosing something on a large scale or something to “get the look” can be applied to every room. The dining room is another room in which chandeliers often grace, this is a great opportunity to give your dining room an impressive feature. Something decorative such as the Escala or get the look with the Suri. In your bedroom a small chandelier or chandelier effect shade can be used to provide a decorative elegance. The Mime has a lovely blend of decoration with bedroom or lounge luxury, you could however opt for something to provide a similar effect such as the Geraldine. Adding a chandelier above the bed can really add character and class to the room, it’s something many people envisage but don’t normally expect. So go with it for that “ooh!” impact. Don’t leave out your bathroom! As said before there are IP rated bathroom chandeliers which allows you to glitz up your bathroom and give it the class and status it deserves. Don’t feel restricted to a basic flush ceiling light, the options are far more plentiful than you think. The bathroom shouldn’t feel like a let down or disappointment, so make sure not to leave it as one. An impressive bathroom would be an unexpected delight for any guest. ← Previous Previous post: New Year, New You, A Bright New Home.